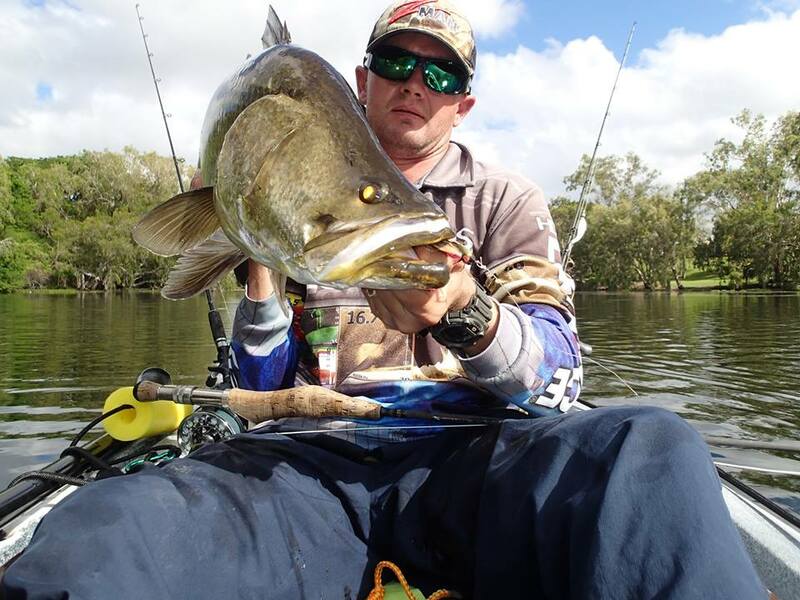 Many fly anglers like Vinnie Versfeld and many others they choose to fish colours that meticulously match the Red claws, shrimp and bait-fish that Barramundi naturally encounter in the shallows or deep water. However, more times than not, the opportunistic Barramundi are willing to take a number of the fly patterns used in Murray cod fly fishing. 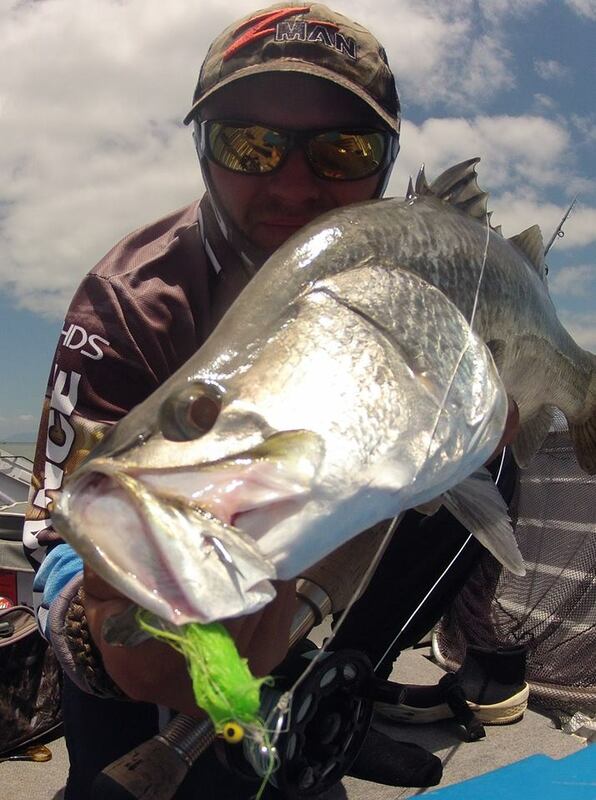 While Barramundi will typically take a bigger pattern, smaller patterns are easier to cast in the wind, try smaller versions of sub-surface flies, poppers and streamers. Colour combos for large and small profiles like olive/white, pink/white, and darker colours, such as, red/black, purple/ black that are commonly used for Murray cod can to be used with great success for Barramundi. 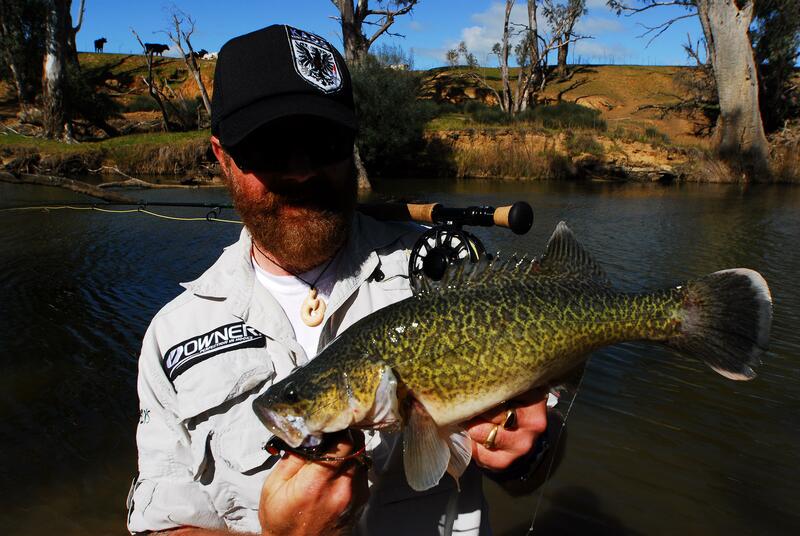 As Murray cod season is closed from the 1st of September to the 30th of November. For those that will travel or live in Barra country, don’t forget to pack a fine selection of kaos flies! 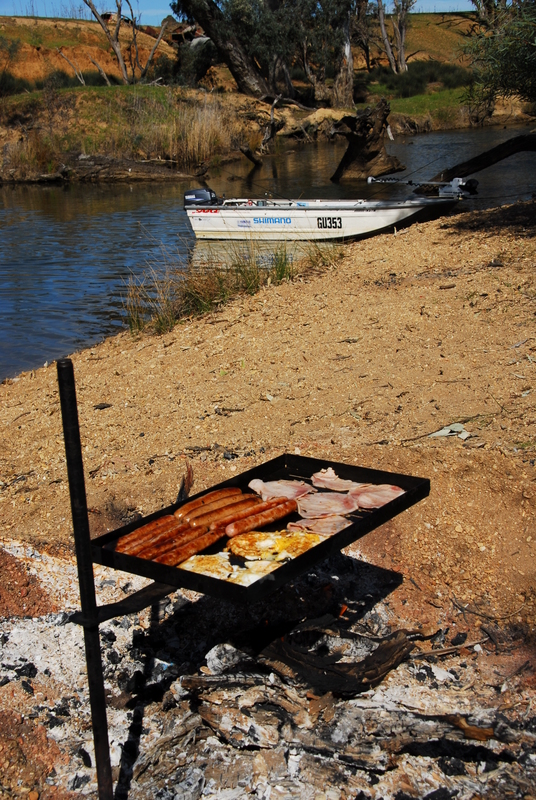 The end of 2013-14 murray cod season…. 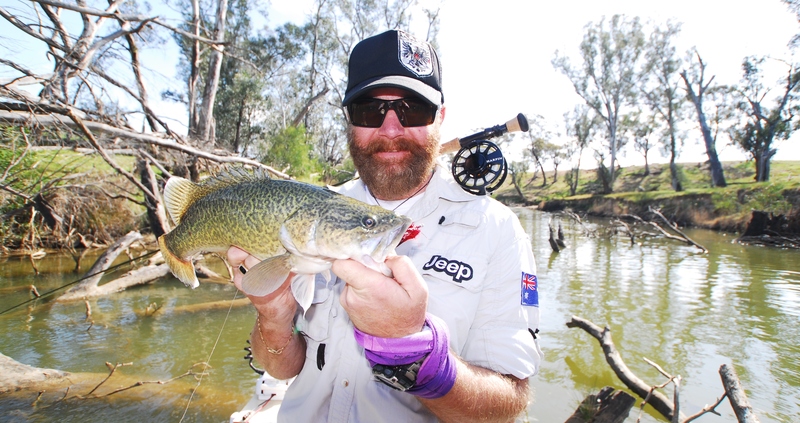 The talk of the day and weeks to come will be all about you landing a Murray cod on fly. Maybe you’re first time or the hundredth time, for me it’s always a great feeling and for your fishing partner as they get involved too by lip griping or netting the fish. The bug is hard to shake once you have landed a native on fly and the only thing you talk about is the last time you were out hooking up or the next time you can get out on the water chasing these magnificent green backs. In your favor too around the camp fire while enjoying a yarn about how big you’re biggest is or the one that got away, is if you have caught a Murray Cod on fly and i can tell you now not too many anglers can say they have, you will always have a story to tell. This is why fly fishing for native’s but specialty Murray Cod is going to be the next big thing. Live & camp like a king on the river. 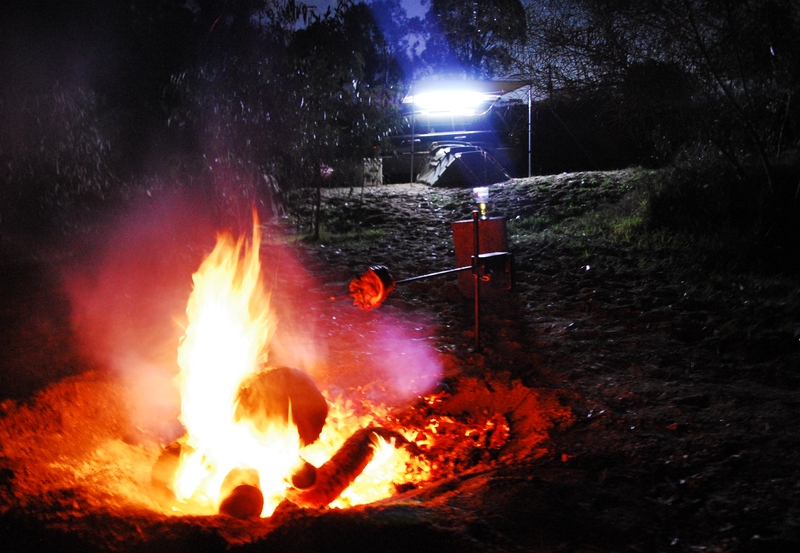 Great camp fire or as we say (bush TV) on a cold winter night and with the crackling of pork on the Oz spit, corn, baked spuds and home made gravy….Nights like these where else would you be? I can tell you doesn’t get much better than this. Up on the rise my Jeep kitted out with Ironman awning – LED lights and swag with a great view of the river once lift my head from my pillow! Cooking up a storm after a hard night watching bush TV, the sweet hot coals from the night before makes a good base to cook morin tucker! In the back ground ready to launch SteveO’ boat load with the assault of fly rods and tackle to land any green back….